ISRO 2017: Cleared written (51st rank) but not attended Interview. Guys don’t need any serious concern if you guys prepared well for GATE or ESE, this round will be a cake walk for you. Ok now come to the main point…. 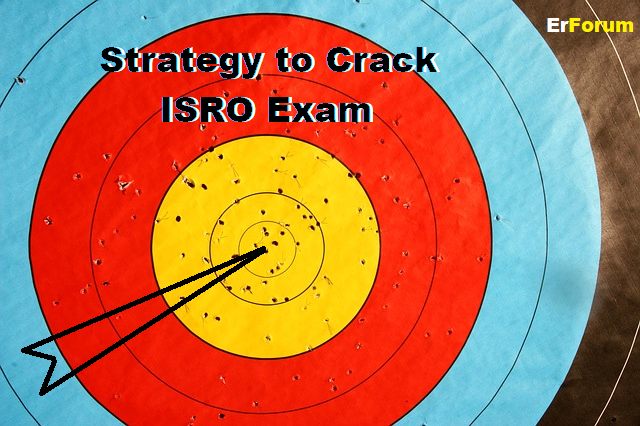 First, do all the previous year’s paper of GATE ESE and ISRO, I bet you will get 10-15 same data question even without a change of any language so this way you can increase your number of attempts. Total duration for exam is 90min and you have to attempt 80 questions so if 15 questions come from previous years and you practiced well then you will get the lead of 15 questions in few minutes because for short duration exams number of attempts are more crucial (Don’t care about negative marking if you are half sure in any question). 1. Interview slot date doesn’t decide the selection rate so don’t panic just prepare well and go for it. 2. And most asked question by the aspirants can we use HINDI: See most of the panel members are from South Indian so you can’t only use HINDI, you can mix hindi and English, they are going to see your talent not your language expertise (English lena hota to MBA min qualification rakh lete). My interview was on 3rd January, 2017 in Delhi(Last slot), 10-11 panel members were seated around the U-Table and in front of them there was a white board where you need to explain all the answers with full of confidence. My interview duration was around 25-30 min (Generally they take 30-40 min) and I answered around 85-90% of their questions (don’t panic 70-80% is more than enough). MY luck supported me a lot and I got selected…yipeee!!!! 1. Prepare your final year project very well and you need to explain all of your project within 2-3 min so I will suggest design a block diagram of your project and explain them one by one(we engineers are good to explain the different blocks of a diagram). Your project presentation will give them the IDEA of your selection and also they decide the department for which you will be suitable through your project. Project will play the crucial role. 3. And most important thing answer dete time wahi keywords use karna jisko explain kar sako i.e. they ask explain how can we design a single frequency sine wave? People start with Hartley oscillator and after that vo Hartley ko wahi design karwane lagenge aur phasa phasa ke bahar phek denge…most easy way is just told them we can use 3 RC circuits like we done in CRO, ab RC circuit me low pass, high pass bolenge to answer bhi dene me easy hoga. So prepare your answer like that. Selection of subjects also plays major role….never select coomunication system as your favourite subject because communication systems covers digital+analog+wireless+satellite+many more. When they ask tell me your favourite subjects, just tell them 3 major subject i.e. Analog(isko do ya na do vo puchenge hi isliye better isko daal do), Digital circuit(isme microprocessor puchenge), and control system only. 1. In analog circuits prepare multivibrator function and circuit diagram, OPAMP (Schmitt trigger bnane ko bol sakte ya phir other things like differential OPAMP etc. ), BJT/FET function, H-parameter circuit, aur jitne bhi curves hai unka explanation i.e. V/I characteristic, Gain/BW curve etc. 4. EMT: Waveguides equation i.e. cutoff freq, characteristic impedance of coaxial or anything else etc., Transmission line equations, Maxwell equations…here you can expect direct and quick questions only. Antenna me you just need to explain different antenna and their plots. Sometimes they ask Satellite communication so learn: LEO, MEO, GEO, the effect of Raindrop, DUCT propagation, Frequency spectrum, In Optical fibre just read the modes of fibre, critical angle, acceptance angle etc…basic of all these things. The Question will be like you have to give the exact answer. They will not ask any round type question. "If you have any further query please do comment below." or You may contact "Author of this post"